Facebook reached an important milestone for the week ending March 13, 2010 by surpassing Google in the US to become the most visited website for the week. We are truly pleased to provide these resources for you to use in your ministry. Our mission is to provide resources for victorious Christian living in today’s world. 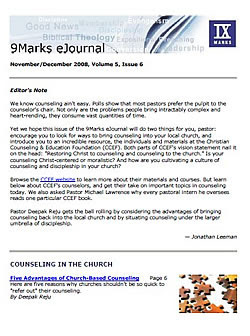 You are free to use and share this copyrighted material for personal, church, and ministry use for both public and private presentations as long as this notice, the materials themselves, and any of the associated images are not changed and it is not distributed, bundled, or reproduced in any form and sold, or requires shipping or handling charges. These materials are intended for free distribution for Christians to be used to the glory of the Lord Jesus. Unless otherwise indicated, all PowerPoint resources are Copyright HEARTLIGHT®, Inc., 2001. http://www.heartlight.org. 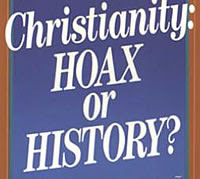 ChristianPhotos.net is a leap of faith. Everything is free - you can download high resolution stock photography for Christian purposes without having to pay anything - expenses are covered by donations and ads. The photos can be used freely in Christian advertisements, program booklets, bulletins, invitations, newsletters, religious education materials, flyers, posters and any other project for which photos are needed. The vision of ChristianPhotos.net is simple: it wants to help churches to publish better material for spreading the word of Gospel. You can also submit your own photos. 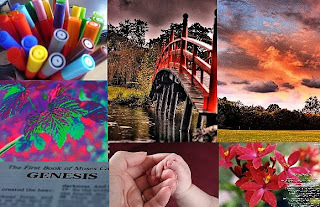 Photo categories include Religious, People, Animals, Scenery, Plants, Macro, Artistic, Objects, and Uncategorized. Apply now for a free account. Can You Defend What You Believe? 7. 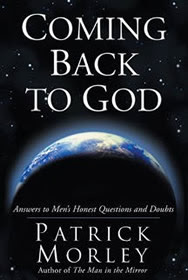 Is the Idea of God Logical? 8. 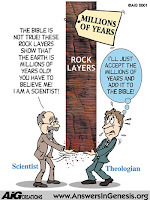 Shouldn’t Science Rule over Theology? God Cares about Me Personally? Significance - What Is It That Your Husband Wants? 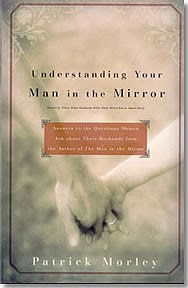 Obstacles - What’s Troubling Your Husband? 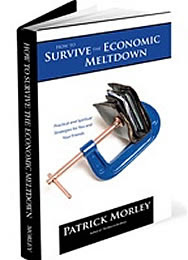 Pat’s new book features 35 hard earned spiritual, practical and financial survival strategies based on lessons learned during his own personal financial crisis. Every day for seven long years he woke up not knowing whether or not he would be forced into bankruptcy. By God’s grace, he was able to avoid bankruptcy and not only survive, but experience extraordinary spiritual growth. The Encyclopedia Britannica uses 20,000 words to describe Jesus. This description takes up more space than the encyclopedia devotes to Aristotle, Cicero, Alexander the Great, Julius Caesar, Buddha, Confucius, Mohammed and Napoleon. Well-known historian H.G. Wells was asked what person had the greatest influence on history. He answered that if one were to judge the greatness of a man according to historical aspects, Jesus would be at the top of the list. Why should issues of good and evil, or human suffering, cause any problems? If the British philosopher Bertrand Russell was right to dismiss man as ‘a curious accident in a backwater’, why should it matter in the least whether lives are ended slowly or suddenly, peacefully or painfully, one by one or en masse? If the Oxford professor Peter Atkins, another dogmatic atheist, is right to call mankind ‘just a bit of slime on a planet’, why should we be remotely concerned at the systematic slaughter of six million Jews or half a million Rwandans? Are we traumatized when we see slime trodden on or shoveled down a drain? The whole world wept over the destruction and death brought about by the tsunami in the Indian Ocean, but why not have the same anguish over the fate of beetles or bacteria, rats or reptiles? If human beings are simply the result of countless chemical and biological accidents, how can they have any personal value, and why should we turn a hair if dictatorial regimes or natural disasters dispose of them by the million? The same applies to violence or bloodshed on a personal or limited basis. If we are nothing more than biological flukes, with no meaningful origin or destiny, why should the way we treat each other matter more than the way other creatures behave? How can we jump from atoms to ethics and from molecules to morality? If we are merely genetically programmed machines, how can we condemn anything as being ‘evil’, or commend anything as being ‘good’? Why should we be concerned over issues of justice or fairness, or feel any obligation to treat other ‘machines’ with dignity or respect? When people respond to tragedy by asking, ‘How can there be a just God?’ their question is logically flawed, as without him words like ‘just’ and ‘unjust’ are purely matters of personal opinion. SurfPass - free version of the SurfPass filter, which also allows time limits, logging, etc. Cyberspace Ministry - At Your Service! (download our Bible games like Quest for God's Armor, Bible in Mind, Bible Wordokus; join one of our online Bible classes, The Moment of Truth, If I Were Told the Future, The Last Countdown, or take online test to discover your spiritual gifts! 100% FREE 3-D Christian Computer Wallpaper (free, 3D computer rendered, unique Christian Wallpaper for your computer desktop. These cool wallpapers can't be found anywhere else. 100%FREE Bible Software, MP3 Bible, Study tools, Jesus Movie... (free Bible Software, MP3 Bibles, online movies, biblestudy tools and other link that help you grow into a deeper relationship with Jesus Christ! 3D Christian Wallpaper and Computer Backgrounds (all original, high quality, free 3D rendered Christian desktop wallpaper. All of the computer backgrounds can be downloaded with or without the Bible verses that inspired the picture. 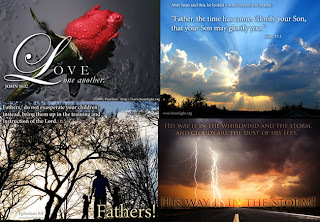 Bible Study Charts.com (free PDF Downloads - Bible Studies, Outlines, Time Line Charts, over 500 Midi Hymns, Scripture Bookmarks & Magnets prayerfully designed to be used as tools to encourage you to study God's Word. 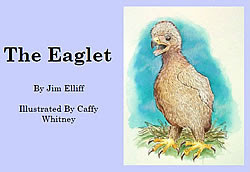 “The Eaglet” from CCW is a story explaining true faith and repentance, vividly illustrated by Caffy Whitney. 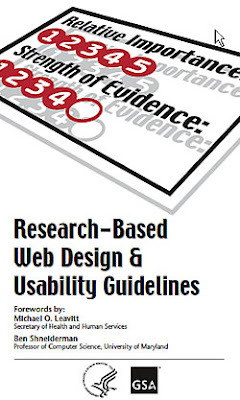 This publication is two new formats - as a Power Point file and as a PDF file for Adobe Acrobat. You can use these files to print color transparencies for overhead projectors, to read with your child directly from your computer, or with your video projector for VBS or other events. 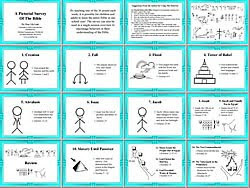 The Pictorial Survey of the Bible by Buz McNutt from CCW is a graphic overview in a simple format to help children and adults understand the chronology of the Bible. CCW has been distributing the survey for years. It now offers a revised survey in new formats—as a Power Point file and as a PDF file for Adobe Acrobat. By teaching one of the 36 points each week, it is possible for children and adults to learn the entire Bible in one school year. The survey can also be used in a single session overview to encourage believers in their understanding of the Bible. Joshua Project now offers free PDF materials on world missions which can be used as posters in bulletin boards or as inserts for church bulletins. The religion PDFs are Buddhist, Hindu and Muslim. A challenging PowerPoint about the unfinished task of the Great Commission from people and language perspectives. 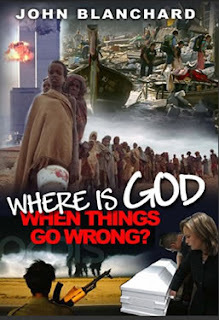 Gives an overview of some of the things God is doing around the world as well as some of the challenges remaining to finishing the task. This PowerPoint looks at some of the Biblical signs that will characterize the end times. In addition, this PowerPoint provides an overview of some of the major positive and negative trends in global missions. This PowerPoint provides a snapshot of the overall status of world evangelization with a particular focus on the unfinished task of the Great Commission. 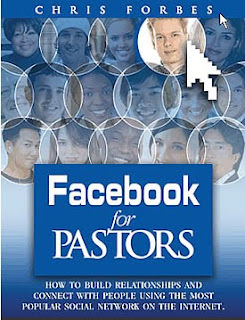 A visionary tool for small groups, churches, mission conferences, denominations and mission agencies. 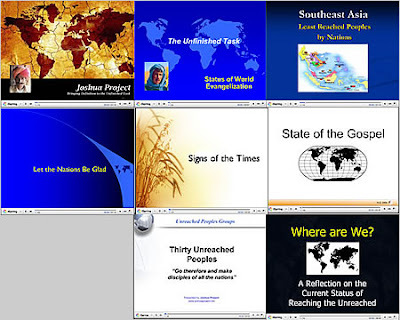 A PowerPoint detailing the status of the Great Commission and least-reached peoples in eleven countries of Southeast Asia. Thirty of the most unreached people groups in the world. Great for introducing a prayer gathering, Great Commission sermon or mission conference and creating vision for unreached peoples. A PowerPoint created by Stan Parks and presented at the Ethne '06 Conference. Where Are We looks at our changing world and church and how those changes impact unreached people group ministry. This PowerPoint was created by Jason Mandryk using Operation World information. It provides an excellent overview of missions and global evangelization. An overview of Joshua Project outlining the vision, activities and audience of this initiative. 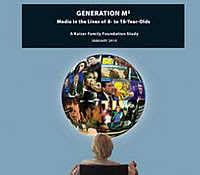 Free youth media study “Generation M2: Media in the Lives of 8- to 18-years old” from Interlinc (Use the findings of this 85 page PDF document from the Kaiser Family Foundation to gain insight into the impact media has on your students, including television, cell phones, computers, video games, music, and movies. Free e-book “Fired Up or Burned Out” from by Michael Lee Stallard and Rev. 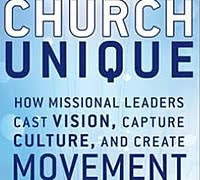 Jason Pankau on how to transform your organization through the power of connection; you can use this e-book to build up your ministry staff, or pass it along to your congregants to use in their own work and marketplace ministry. It provides insight into the following: What Fires Us Up? The Three Keys to Connecting Your Team and Lighting Their Fires (based on Christian values); The Fire Starts with You: Become a Person of Character and Connection to Light the Team Around You; Learn from Twenty Great Leaders Over Twenty Days. 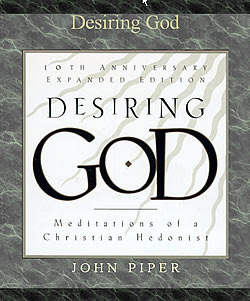 Desiring God, by John Piper (read this book online or download the PDF 399 pages, 1.2 MB; you can also download Desiring God study guide 90 pages, 248 kb or Desiring God study guide for groups 16 pages, 640 kb). The great business of life is to glorify God by enjoying him forever. Discord between duty and delight doesn’t exist: delight is our duty. 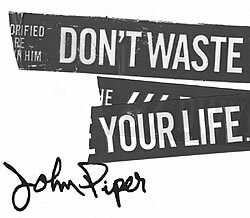 Piper stuns us again and again with things we saw in the Bible, but never dared to believe. Join him on this dangerous quest for maximum joy in God. But beware, it may cost you your life. Never mind – “the steadfast love of the Lord is better than life” (Psalm 63:3). This free e-book (262 pages, 5.64MB total file size) compiles the notes and handouts from a yearlong Bible School series. 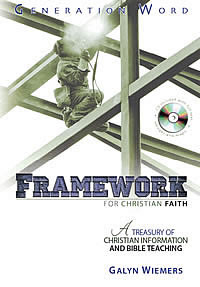 It is designed to help believers advance in their own understanding and personal study skills and contains a wealth of information from any areas of Christian study, including apologetics, hermeneutics, the history of the English Bible, Old Testament, the life of Christ, the book of Acts, church history, Greek, the New Testament letters and biblical theology. The material was originally taught in a fifty-week series of one-hour classes. Each section ends with a list of important facts, review questions, discussion topics and suggested readings. 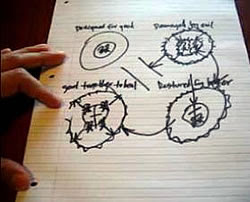 In addition, countless charts, maps and diagrams are found inside to help with visual learning. A companion CD (available only in the US upon e-mail request at gw@generationword.com) also contains the complete text of the book, maps and diagrams - so all may be reproduced by the reader for personal use or use in teaching and presenting. 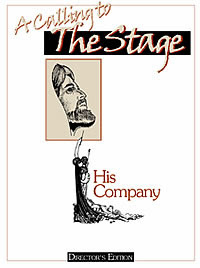 “A Calling to the Stage” is a free PDF book by Davis S. Lampel for those involved in Christian drama—be they directors of an independent group, an actor in the local church, or the music minister who seasonally directs actors in his or her musicals. The Director’s Edition contains all chapters in all four parts (The His Company Way; A Director's Guide; An Actor’s Guide; The Next Level). The Actor’s Edition does not include Part Two, two chapters from Part One, and two chapters from Part Four. 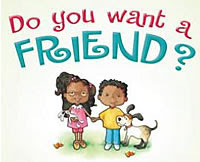 There is no charge for either edition: both books are immediately available for downloading, in their entirety. Both books are copyrighted, however, so when printing them for your use, all pages—and especially the copyright page— must be kept together. Download Director’s Edition (15 mb PDF file; 34 chapters; 262 pages); Download Actor’s Edition (9.20 mb PDF file; 18 chapters; 132 pages). Other free resources from Davis S. Lampel are Newest Script, Monologues, Sketches, One-acts, Multi-acts, Musical Resources, The Twelve, and Worship Resources. How can I do drama when we don’t have a drama team or any actors? One answer is to use still photographs and PowerPoint. I'm curious: have you heard of the Covenant Eyes accountability program? What makes it unique is that it gives you the option to simply monitor your Internet surfing, filter it, or both. A good filtering program is very helpful for children and families, but a good monitoring program is great for adults and children alike who want to be accountable to others about where they go online. The Covenant Eyes accountability program simply tracks where you go online. Then each part of each Web page is scored for its content (the scores are based on obscene material). The way it works is you choose 2 or 3 people that you want to receive a detailed “accountability report” of all the places you've been online. These people then receive that report via email or they can access it whenever they want, 24/7 on the Covenant Eyes website. What this does is it allows you complete freedom to go wherever you want online without being blocked, but all the while you know you are being held accountable for where you are going. It takes away the anonymity and secrecy of online activity. This builds self-control online and trust in relationships. The filter is like other Internet filters except it can work hand-in-hand with the accountability program. Because Covenant Eyes is the only filter on the market that effectively scores the entire URL (web address), it is a very robust program. Covenant Eyes also has a promotional code you can use to get a free month to try out their accountability service. Go to www.covenanteyes.com and enter promocode 'onefree' to receive a free 30 day trial of the program.